Note: Ask about our pre-filled lists of car values. We have a list of car models you can use here. Note: We have 5 must use templates to improve your lead conversion. 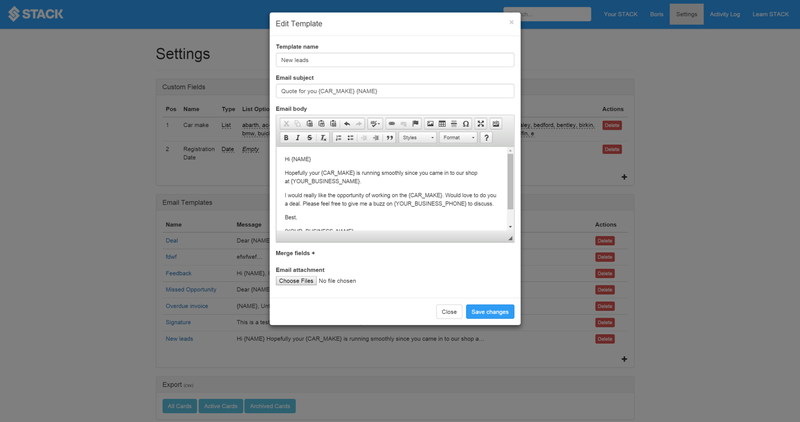 Get in touch on templates@stackcrm.io and we can send you them or set them up for you. Make sure you monetise every single person that comes through the door. Chase payments by setting automatic emails and SMS to go out for overdue invoices. See this article about how to have overdue invoice paid. 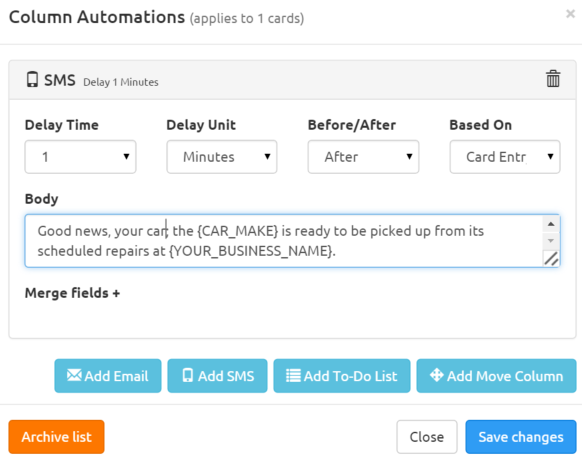 Drag the card into the column in STACK with the automation set to send out an SMS to customers who have had their cars repaired. You can link up with Zapier to integrate with your accounting software to automatically send people their invoices. Here is an example of how to import your leads from gmail. Only you can see these. Help yourself and help your future staff. Does your customer like to have their car washed? Maybe parked in a particular way? Do they want their mirrors and seats adjusted in a particular way? Every customer is unique. 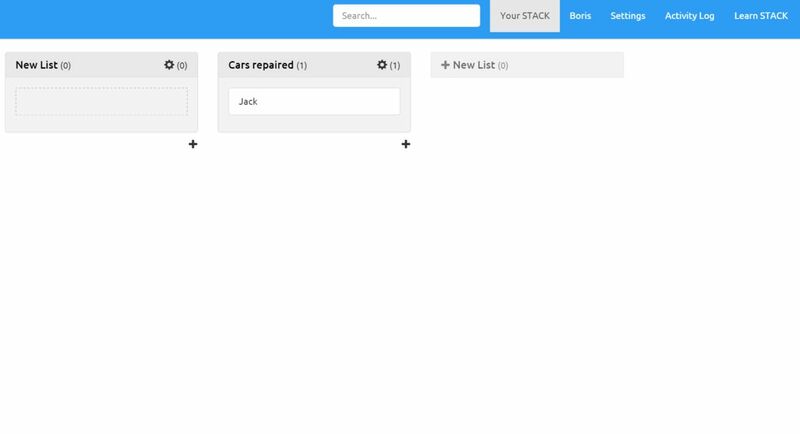 Create to-do lists for each customer to keep them happy. 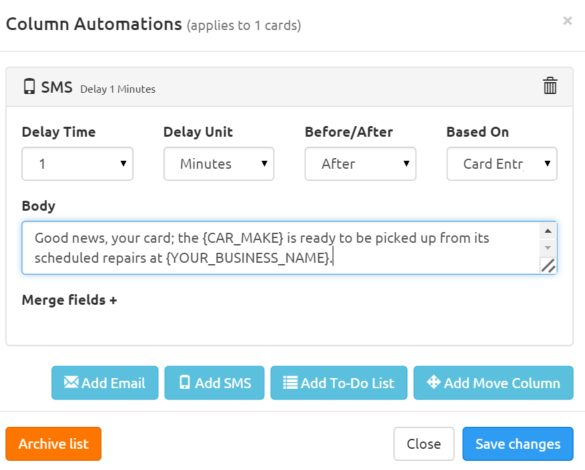 Drag and drop customers between columns to make sure the automations that they get align with where they are. Also you can help track your pipeline and booked in work.